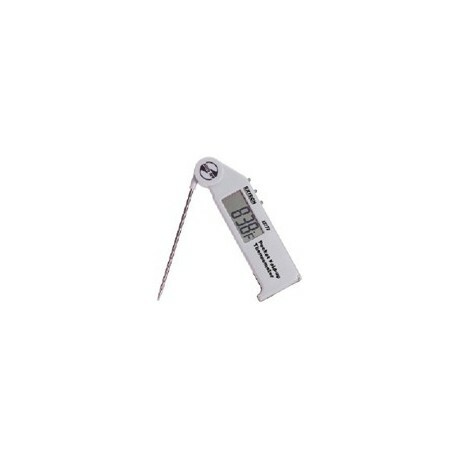 The POCKET FOLD-UP THERMOMETER WITH ADJUSTABLE PROBE has a 4.5" (114 mm) stainless steel probe that adjusts from 0 to 180 for storage or measurement. This unit is F/C switchable with data hold and min/max. It has a 1 second response time and a range of -58F to 572F (-50C to 300C).